Highland Global is is pleased to announce the creation of the Sebastian G. Peréy Endowed Memorial Scholarship at Coastal Carolina University in honor of Highland Global’s long-time spokesman who passed away unexpectedly at his home on July 8, 2011 from a heart attack. The scholarship has been established to assist students enrolled in the E. Craig Wall, Sr. College of Business Administration’s Economics program at Coastal Carolina University. Preference will be given to students who are enrolled full-time as a junior or senior, who are natives of South Carolina, who maintain a minimum of a 3.5 GPA, and who submit a personal statement about their goals and aspirations after graduation. Sebastian was born on October 22, 1951 in Charleston, South Carolina. After graduating from Rivers High School in Charleston, Sebastian attended Loyola University in New Orleans for one year before transferring to Georgia State where received a B.A. in Economics (Class of 1974). After graduating from Georgia State, Sebastian spent his career working in the fields of finance and economics including positions at the Fulton County Tax Commission, CNS Federal Credit Union, the SBA and the South Carolina Employment Security Commission. We were all deeply saddened by the recent loss of our good friend, Sebastian. He was a good man who had a tremendous positive influence on many people’s lives. He shared a great deal of wisdom, insight and lessons in life with all his friends. He had a big heart and was always willing to help and support his friends. He had a magnetic personality and an infectious laugh. Everyone who knew him can be thankful that they had the privilege of knowing him. He will never be forgotten by his friends and acquaintances. While we remain deeply saddened by the passing of our colleague and good friend, we are pleased to announce the creation of this memorial scholarship in his honor and as a tribute to his contributions to and love for the study of economics. 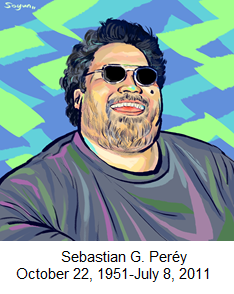 Sebastian was a mentor and a teacher, giving so many of his friends lessons in life and business—all those things you don’t learn in college. He always told you what you needed to hear; he wasn’t one to tell you what he thought you wanted to hear, like so many people do. We hope that this memorial scholarship will keep his spirit of helping others, his generosity, and his desire to impart knowledge and insight in life on his friends alive and have a positive impact on deserving economics students at Coastal Carolina University. Should you have any questions regarding this memorial scholarship, please contact us directly or the Office of Philanthropy at Coastal Carolina University. Thank you for your support of this important project.